Does Your School Need School Library Software? Have You Found Other Products Complicated And Expensive? "When we set out to design our school library system, we wanted it to be comprehensive, but also easy enough for students to use. Our customers say we have achieved this." School Library Software doesn't have to break the bank. QuickTrack Pro For Schools is a complete school library system at an affordable price which includes software, full support and even a barcode scanner for your library. Used by thousands of schools worldwide and installed on your own schools computer not on a cloud based computer which you have no control over. QuickTrack for schools is GDPR compliant so your student data is completely safe on your school computer. QuickTrack is not only simple to use, but powerful and professional, it automates your library quickly and easily. You can even print reports, library cards and barcode labels direct with no additional software required. 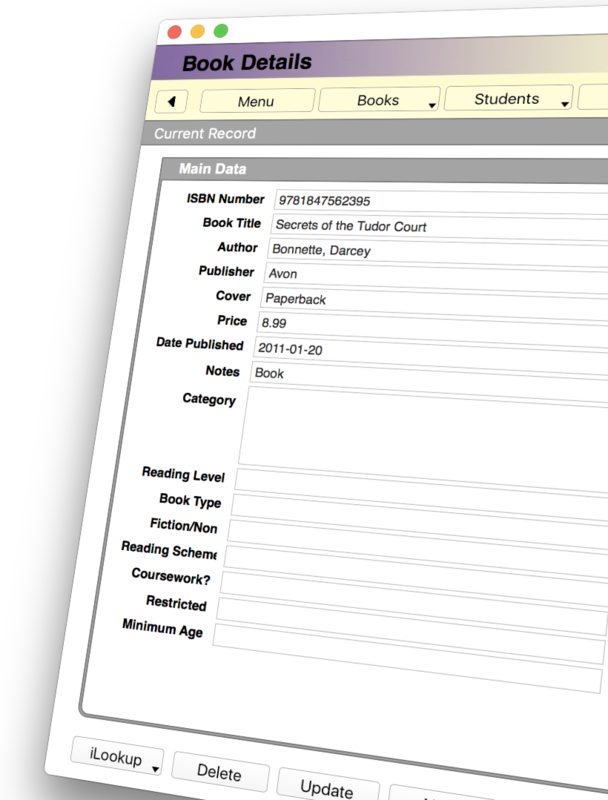 Built in cataloguing which uses the internet to look up the book details and automatically enter them into QuickTrack. Our online catalogue database is always up to date and is free of charge to use, it is automatically updated when new books are published. "We couldn't believe how easy it is to use. Simply scan the books barcode to enter it into the library system." Simply scan the barcode on the book and the details will be entered automatically. Our software even retrieves the Dewey Decimal code and an image of the book cover. This function can also obtain catalogue information for most CD's, DVD's and some Videos. You can also easily move the book and student data from your old library or SIMS system if you have one, we are here to help if you need assistance and have simple guides for the most common other library systems. You can use the existing barcodes on the books you have, saving you both time and money with no labels to print out. Multiple copies can also be coped with easily. "But I've already labelled our books?" That's no problem as you can use those barcodes instead. You simply use them in your catalogue instead of the ISBN barcode printed on the book. Once entered the book's record contains tracking information for where the book has been over time. You can access this to find out which books are more and less popular, which could be of immense use when deciding which books to buy for the future. This is a great activity for your school's students to help get them involved with the library and feel part of its operation. Use the simple book in and out screen to allocate books to your students quickly and easily. Personalise QuickTrack Pro from the default personality, change field names etc in the easy to use personality editor. If your school doesn't need one of the default field names, change it to one you do need. QuickTrack for Schools is available now on Windows and Mac. Learn more about how it can help your school below. "The customisation was great, we use Form instead of Class at our school and changing this was easy." What does the QuickTrack Pro for Schools software do? QuickTrack for Schools is a complete library cataloguing and lending management system for schools. This complete solution even includes your barcode scanner for the single yearly fee. Checking books in and out couldn't be easier. Even the youngest of students can do this easily. Simply choose 'Book In' or 'Book Out' from the 'Book In/Out' menu and choose a student. You can do this either on screen or using a barcoded ID card which the software can print for you. Your students details will instantly appear and to the right it will show what books they already have. Then scan the books barcode to bring its' details up, and click the 'Book Out' button to book it out. It is that easy. Adding students is easy, you can either import them from a csv file or enter individual students by hand. Each student's record shows their borrowing history and all the details required for book tracking. Checking who has what is easy, just enter either the book or students name or id into the find box and hit return. A list will be shown of either the books with that name or the students with that name. Click one item to show that books borrower. Saving you time and money chasing where books have disappeared to. .
You will also receive via the post a barcode reader to use with the system. 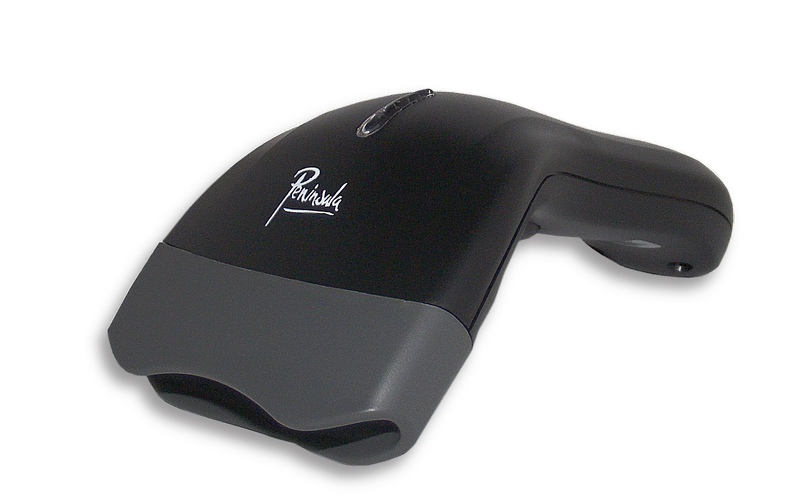 This reader is designed specifically to be used to scan book barcodes quickly and efficiently. can be obtained should the reader cease to function (an unlikely occurrence). Installation Guide - A simple three step installation sheet to get you up and running in less than five minutes! Software Manual - A simple manual with all the basic operations described. Memory Stick With Software - A USB memory stick with the QuickTrack for schools software on it. If you wish to download our school library software due to data restrictions at your school a download link is also provided. Barcode Scanner - The barcode reader itself. A USB cable to connect your barcode reader to your computer - Just plug in the cable and start scanning into QuickTrack for Schools, no setup is required. If you need any help at all with setup or use of the software please contact us and we will help you. Built In Label And Report Editor. We use our market leading barcode and labelling technology to enable you to quickly and easily view, edit and print your own labels or reports. You can even make you own library cards which can be printed to a normal printer if required. View And Print Or Export Comprehensive Reports. what's overdue or other information. 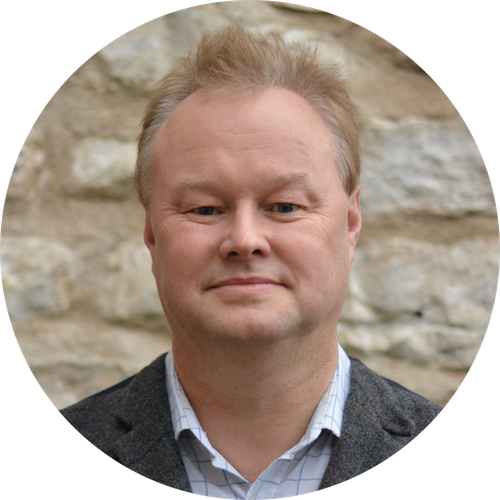 QuickTrack for Schools has built in reporting and labelling features as standard which allows you to easily collect or print out information that you require. Exclusive You get access to our 30 Years Experience with library systems, barcodes and labels. If we haven't got the answer no one has. QWhat type of schools purchase your software? All types of schools from primary to secondary, whether state funded or private purchase QuickTrack Pro For Schools. We cater for all levels of education within our software. QWhy is your software so inexpensive compared with other products? QuickTrack Pro is a commercial product sold to companies worldwide for tracking, catalogue and library management. We provide the school library version at the lowest cost possible to ensure that schools have the best library software and support without it needing to cost the earth. We also do not employ high pressure salesmen to sell our school library software which severely cuts down on the expense. All support is done via the internet, either by email or TeamViewer which again cuts down on the operating costs. QAre there any extra costs? There are no extra costs, the yearly fee includes software, barcode scanner and support. The software includes everything you need, to setup and run your library. QCan I import book information from my existing library software? Yes of course, we can even help you with this if required via TeamViewer. QCan I import student information from our student information system? Yes no problem at all, you can easily import from systems such as SIMS, we can even help you with this if required via TeamViewer. QIs this software GDPR compliant? Yes the software is installed on your own schools computer and the database is encrypted so nothing apart from QuickTrack can read it. so a user may, for example, only be able to book in and out and not view student records. you can search for books easily and check if they are currently in the library of loaned out. QIs it simple enough for the students to use themselves? Yes, we have children from primary up to secondary school age and beyond all able to use the library system themselves. QCan I use a school purchase order? If you are in the UK, yes. Outside the UK we require cash with order or card details to purchase. Pro forma invoices are available for this if needed for your finance department. QOur school is not in the UK, can I still purchase and use it? Yes you can, the software and barcode scanner will work anywhere in the world and we ship free of charge. Used by thousands of schools worldwide. Simple Interface, Easy to setup and use. Cross Platform For Apple Mac OSX and PC Windows. Instantly track books, show who has what. Easily book in and out. No special labels required, use the books' barcode. 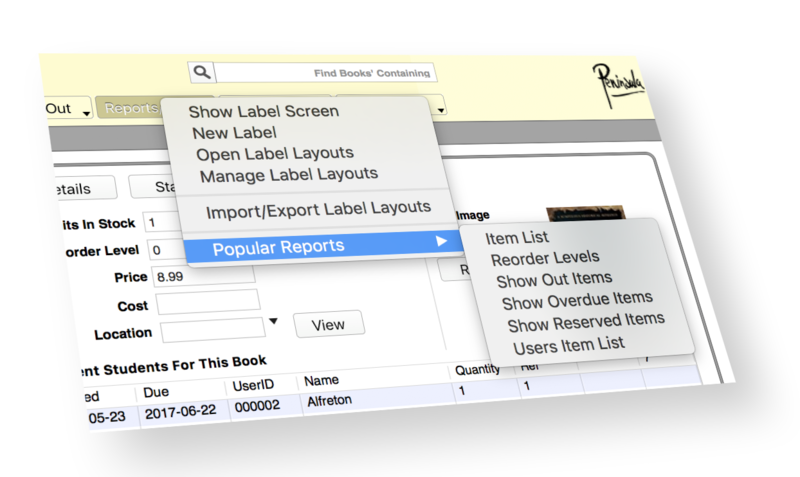 Catalogue books quickly using our lookup database. Import existing book information from CSV or Excel. Import from other school library systems. Create labels and reports if you require them. Print student ID cards if needed. Data stored securely on your school's computers. Complete security for sensitive information. No third party access to your data. No upfront costs, simply subscription charge. Low cost yearly price including barcode reader. The yearly price is the same every year. No extras to pay, unlike other solutions. Pay by card, UK cheque, bank transfer, or online payment. We can supply this product Worldwide as well as the UK. Free updates to your software. Comes on USB memory stick so you always have a backup. Is there a Demo version or Brochure available? QIs there a demonstration version or brochure available? Yes, of course. Download a free demo below. Unlike other providers we are happy you can try the software before purchase. This version is fully functional but limits how many books you can track. Please email us for help if you need any, we can TeamViewer you to show you how QuickTrack works if needed. or elsewhere on +44 1723 890699 or by email sales@peninsula-group.com. QuickTrack for Schools is available to you today at just $447.00 per year. If you require additional licenses these are available at a reduced cost contact us for details. It couldn't be easier to get started with your school library. Purchase the complete QuickTrack for Schools library system below or contact us to purchase by another method, and start sorting out your library today. You will receive an Invoice with your purchase, it will be included with your barcode scanner. We offer a full guarantee and support for this product. We can even setup your library system for you remotely. Complete reporting and item management. Includes high quality barcode reader. Free Email And TeamViewer Support. Free updates for license term. Supplied on USB memory stick or download. Completely secure on your schools computers. Additional copies at lower cost per year. Price for one computer per year. 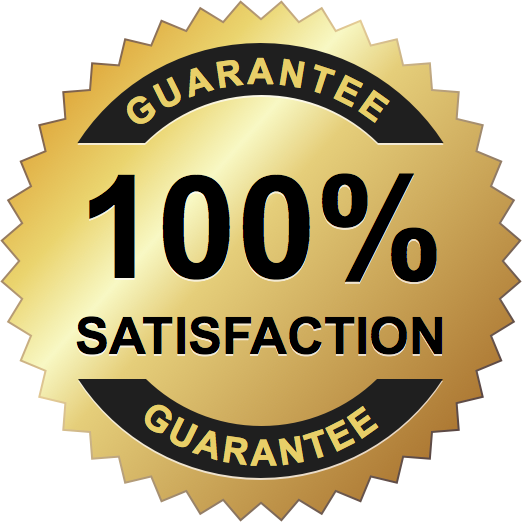 We also offer a 30 day money back guarantee.